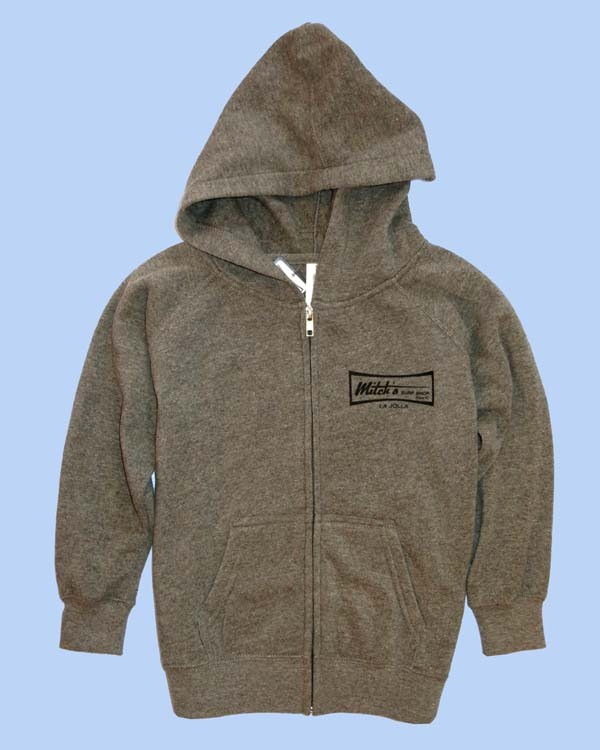 The classic Mitch's KID'S ZIP-UP HOODIE. Small logo on front, large logo on back; "Mitch's Surf Shop Since '67, La Jolla." Machine wash & dryable warm 50/50 Cotton-Poly heather material, soft lining with kangaroo front pockets and double stitched white zipper. Multiple colors, all in a speckled heather texture - roomy unisex sizing.